A couple of days just simply won’t be enough time for you to spend in the Mornington Peninsula so always make sure that you book your accommodation for an extended holiday just so that you will have enough time to truly appreciate this magnificent holiday destination along the south coast of Victoria. 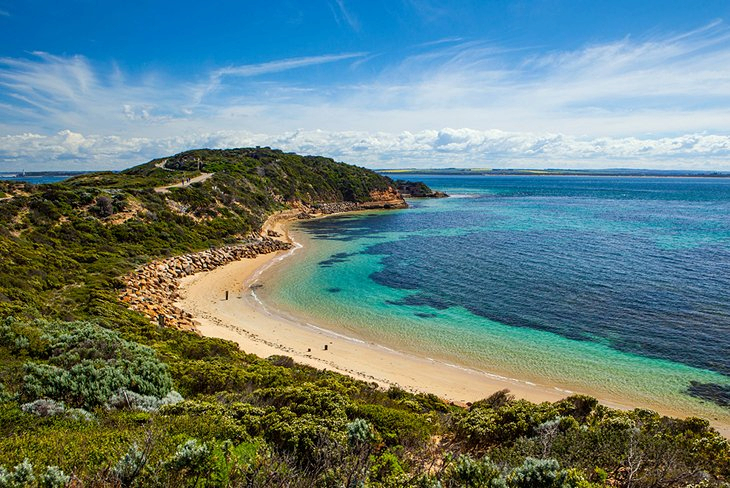 Just one hour from the city of Melbourne, the Mornington Peninsula has been a favoured holiday spot for many tourist and travellers alike, with its quiet coastal communities, abundance of water base fun and activities, famous attractions and hidden delights. Where ever you decide to book your accommodation within the Morning Peninsula you can rest assure that many things to see and do will be within easy reach of where ever you might be based? Whether you are after an indulging weekend in the vines, wish to wake up to uninterrupted views of the Southern Ocean or looking for a hinterland escape, there are numerous accommodation locations that dot their way along the Mornington Peninsula that are sure to spark your interest. Be close to the beach, perch yourself high on a cliff top or take the kids for a camping holiday they will never forget. Ranging from budget accommodation right through to luxury accommodation unlike anything else, you are sure to find the ideal accommodation property for your trip to the Mornington Peninsula. There are caravan and tourist parks within the towns where you can be walking distance to the beaches, restaurants, cafes and town attractions and you can have the choice of parking your caravan or motorhome or even pitching a tent for your holiday accommodation and utilising the many facilities in each caravan park. Take a look at the backpacker hostels where there are dorm rooms, twin and double rooms to book and with a choice of self contained apartments and villas directly across from the water’s edge or overlooking the ocean you can wake up to breathtaking views every morning. From boutique hotels where the service is top notch to luxury resorts where you will want for nothing as well as golf resorts and exclusive spa retreats, you are sure to find what you are looking for in the way of accommodation. Stay in a quaint bed and breakfast where the hosts will cater to your every whim, arrange for a romantic stay in a beachside villa or plan a family holiday base at one of the holiday homes where there is ample to see and do right from your doorstep. Base yourself right in the heart of one of the coastal towns along the Mornington Peninsula or tuck yourself away for a quiet and secluded holiday in paradise..... The choice is yours! Budget motel rooms, corporate suites, deluxe spa villas, family apartments, cottages and cabins are all up for grabs when booking your accommodation. Indulge yourself with a getaway to the Mornington Peninsula where you will feel yourself relax and unwind in style for the first time in awhile. No matter where you book into, your accommodation will be the ideal home away from home and place you perfectly to enjoy so many of the highlights that the Mornington Peninsula boasts all year round. So organise your accommodation and come and discover why so many people keep coming back time and time again.